Tomorrow the players will play for honor, as the match has been completely decided. The score is currently an insurmountable 50-18 in favor of the World Champion. 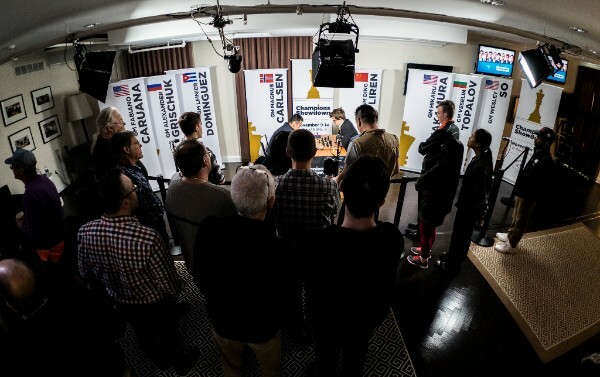 With the other matches decided and finished, it was a two-man show at the Chess Club and Scholastic Center of Saint Louis as Ding Liren and Magnus Carlsen entered their day three. Well, one could argue that it was really a one-man show, as Ding Liren was simply wiped off the board despite winning the first game. Photo by Lennart Ootes. Things started off with fireworks as the Chinese super star crushed the World Champion in the black side of a Paulsen Sicilian. His play was fast, accurate and remarkable – it was a good quality game if it was a correspondence time control, and almost unbelievable in a 10 minute game! Unfortunately for Ding Liren's fans, that's basically where the fun ended. Photo by Lennart Ootes. Carlsen came back with a vengeance, winning game after game after game. His style was fluid and solid, and his mistakes minimal. His precision was coupled with better time management than his opponent. It wasn't that Ding Liren played particularly slowly, but his opponent was just playing moves at rocket speed. Every mistake that Ding Liren played was almost immediately punished. 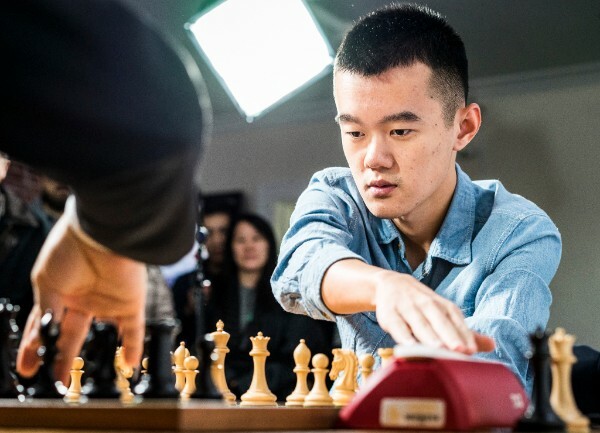 To say that Ding Liren played badly today would be an exaggeration, he was certainly playing below his usual level, but he was also facing a machine.Photo by Spectrum Studios. Carlsen won a few games in his typical style: pressing positions from minimal advantages. 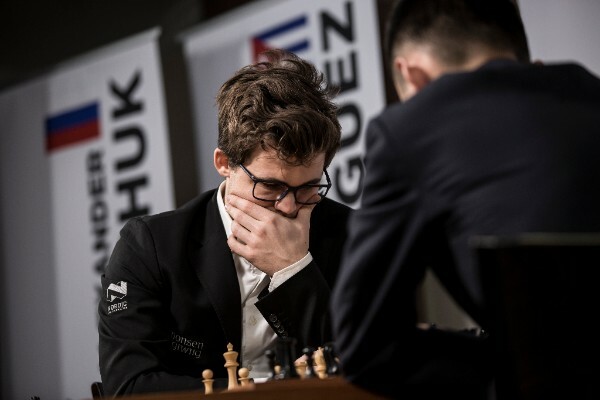 This caused his opponent to crack on the fourth game and flag in the seventh, while game five was simply complete annihilation. Ding Liren managed a sole draw after the initial bout of the day, and the match was over after the seventh game of the day.